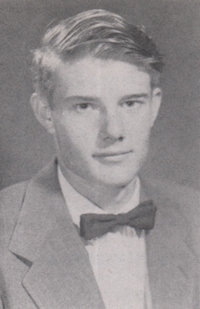 Obituary – Bower, Bobby Lee « Perry High School Alumni Association, Inc.
Bob Bower, 69, of Perry, Oklahoma, was the son of Floyd Earl and Margurite Fletcher Bower. He was born on January 26, 1941 in Perry, Oklahoma and died Monday, October 25, 2010 at the Oklahoma Heart Hospital in Oklahoma City, Oklahoma. On July 28, 1995, Bob married Dona Funderburk in Stillwater, Oklahoma. 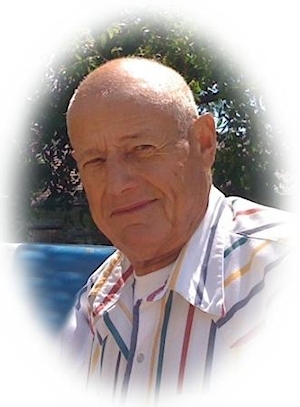 Bob will be remembered as a kind and generous man who always took care of his tenants needs above his own. He loved spending time with his family. Bob also enjoyed welding, taking care of his cattle and chickens, raising his vegetable garden and sharing them with family and friends. Memorial services will be 2:00 p.m. Friday, October 29, 2010 at the BrownDugger Funeral Home Chapel. Rev. Martin Foster will officiate. Services are under the direction of BrownDugger Funeral Home. Memorials may be made to Perry Alcoholic Anonymous or Perry FFA in care of BrownDugger Funeral Home, 1010 N. 7th Street, Perry, Oklahoma 73077. Bob is survived by his wife, Dona Bower two daughters, Yolanda Conder of Collinsville, Oklahoma and Bobbie Sue Kloxin and her husband, Jarrett, of Perry, Oklahoma one son, Rhyan Bower of Blue Eye, Missouri one stepson, Richard Rowley and his wife Bianca, of Ingolstadt, Germany one stepdaughter, Daena Welborn of Gatesville, Texas thirteen grandchildren, Tuff Alstrom and his wife, Darbi, of Bartlesville, Oklahoma, Drew Alstrom of Perry, Oklahoma, Julia Conder of Stillwater, Oklahoma, Hope Conder of Claremore, Oklahoma, Rhyan Scott Bower and Brandon Darnell, both of Branson, Missouri, Caleb Minrath of Louisville, Kentucky, Devon Darnell of Joplin, Missouri, John Reynolds, Elizabeth Welborn and Caleb Welborn, all of Gatesville, Texas, Gina Rowley and Flynn Rowley, both of Ingolstadt, Germany four greatgrandchildren, Abigail Baker, Cameron Darnell, Ethan Baker and Kaden Baker his mother, Margurite Bower of Perry, Oklahoma one brother, Jack Bower and his wife, Eve, of Grove, Oklahoma and two sisters, Ethel Heppler and her husband, Alf and Betty Daily and her husband, John, all of Perry, Oklahoma. He was preceded in death by his father, Floyd Earl Bower.